Up and walked Mix before breakfast. 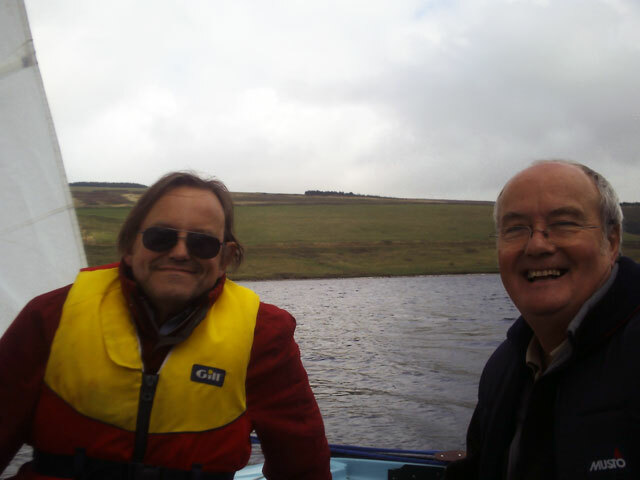 It started as a disappointing day, overcast and with not very much wind, but it soon began to clear and by the time that Tom and David had arrived it was a reasonable proposition for us to drop everything else and set off for the Whiteadder reservoir to sail our Wayfarer dinghy. We got the boat organised and into the water and then set off. How time flies when you are enjoying yourself. 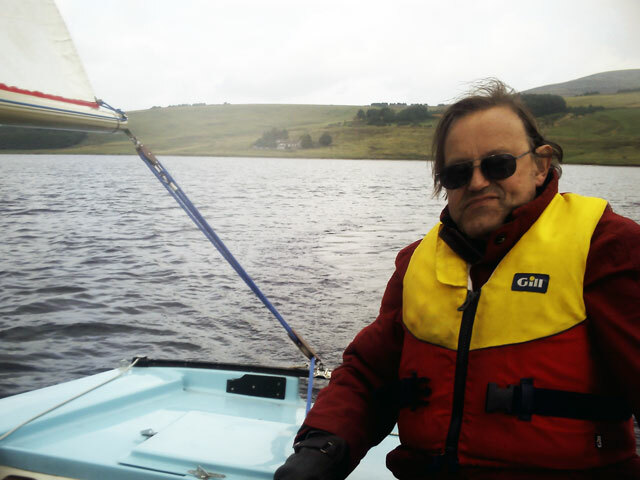 David hadn’t sailed since he was a small boy and he really loved it. I hadn’t sailed for a month or so and I really loved it. There is something magical about travelling across an expanse of water powered by sail. Everything is so quiet but at the same time so absolutely exhilarating. We made sure that David had a shot of sailing Escapade and all too soon it was time to bring her ashore, pull her up to the boat-park and remove her sails. I can’t wait to return. On the way home we popped into the Manse so that David could check the fuse box – Jack gave us coffee while we distracted Ann from her work of preparing for a meeting this evening. We all dined in the farmhouse and later in the evening I watched David Dimbleby’s referendum interviews of Gordon Brown and Alex Salmond, followed by the News and bed (of course, I walked Mix first). 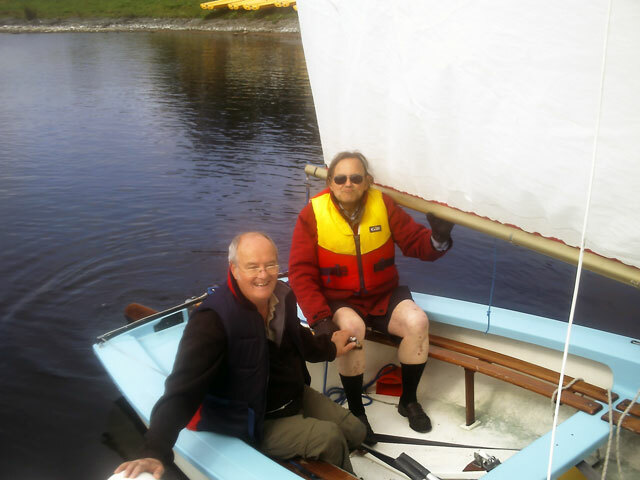 What fun today has been – and I have left all of the sailing gear in the car, just in case. Incidentally, I thought that David Dimbleby’s interviews were very much better than others I have seen in recent weeks. He allowed Gordon Brown and Alex Salmond to speak and set out what they believed and as a result I learned far more about those being interviewed than normal. His skill is an old one which we used to take for granted from television interviewers but which has now disappeared and has been replaced by rudeness and unnecessary aggression in all too many of the new breed of interviewers.